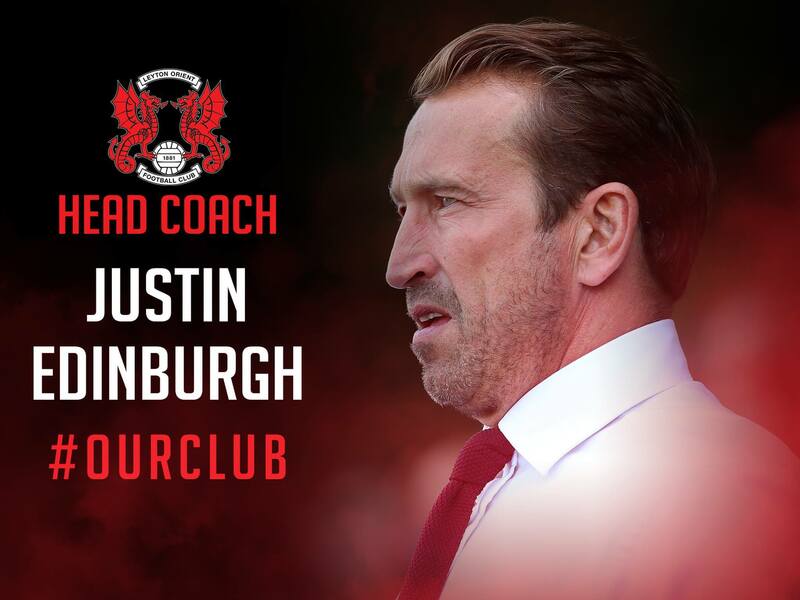 Leyton Orient FC have appointed Justin Edinburgh as new Head Coach. Edinburgh joins the club on good form, having recently managed Sky Bet League One Northampton Town, and steering Newport County to promotion in 2013. He has signed a two-and-a-half-year contract with Leyton Orient, and hopes are high that he will help the O’s find much needed direction. After starting out at Southend United, usually playing left-back, Edinburgh moved to Tottenham Hotspur way back in 1990, for a fee of £150,000. Over the following decade, he appeared over 250 times for the club, before moving to Portsmouth in 2000. Gaining experience as Player-Manager at Billericay Town, Edinburgh took his first pure management role at Fisher Athletic and Grays Athletic, before he navigated Rushden & Diamonds to the Conference play-offs in the 2009/10 season – securing a respectable fourth place. Unfortunately, despite a successful two-and-a-half-years with the Diamonds, the club went into administration, bringing Edinburgh’s productive stint there to a premature close. Edinburgh became manager of Newport County in October 2011, when the Exiles were languishing second to bottom of the Conference, and successfully moved the club into the safety zone, with a 19th place finish and took them to the FA Trophy Final. But, things were just warming up for Edinburgh, as during the following season, he steered the Exiles back to the Football League, after a quarter-century, with a 2-0 Conference Premier Play-Off Final victory over Wrexham in May 2013 – leading him to be named Conference Premier Manager of the Year. Unsurprisingly, Edinburgh was attracting attention from other teams, when he took Newport to a 14th place finish in League Two for the 2013-14 season, and then on to another great first half of the following season, as they pressed a play-off push, resulting in a sixth-spot in League Two. In February 2015, he moved to League One Gillingham, where he guided the Gills to victory in eight out of the final eighteen fixtures of the season – resulting in a 12th place finish. His first full season with the club saw them improve further and end the 2015-16 campaign in ninth-place. Leaving Kent behind, Edinburgh headed north to join Northampton Town as manager, though his stay there was short, with him moving on again at the start of the 2017-18 season. LOFC Director of Football Martin Ling, said; “We are extremely pleased to be able to welcome Justin to this Football Club. We built up a criteria for a Head Coach and Justin ticked all of the boxes. He has experience in the National League which I feel is of huge importance, but also enjoyed success in this division by achieving promotion with Newport. What I really liked about Justin’s CV was that he started in non-league and earned his stripes by succeeding at this level before building on that in the Football League. We are focussed on moving this Club forward, but the first hurdle is the most difficult in getting out of this division and that has been proven over the years with several teams that have dropped out of the Football League. Justin has overcome that first hurdle before and is someone that we know can be very productive. He has a record of pulling teams away from trouble and improving them during his tenure. Edinburgh has certainly got an impressive history, and may be just what the club needs at this challenging time. Can he tap into the potential that undoubtedly exists at the Matchroom Stadium?